Darkening drapes in a white (greyish) color. 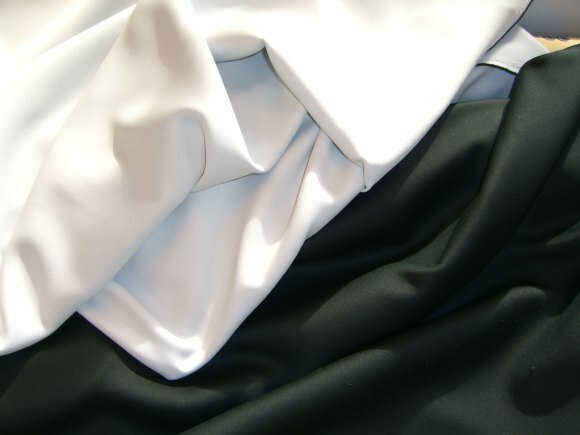 The fabric has a dark core that completely shuts out light. Sleep is fx. greatly improved if no or little light enters the room. Light yellow darkening fabric with peter plys and venner .